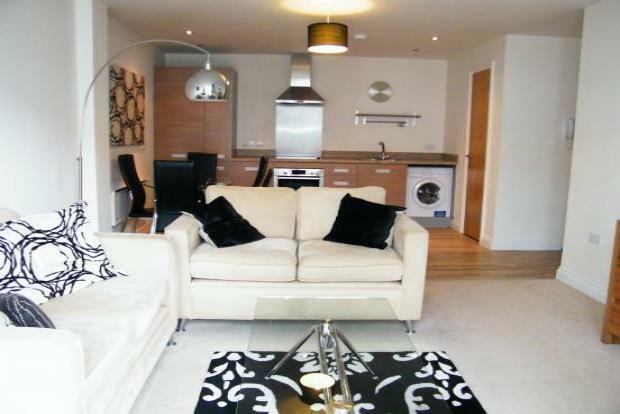 2 Bedroom Apartment To Rent in Nottingham for £875 per Calendar Month. SPACIOUS LOUNGE with double glazed window and balcony, neutral decor and part wooden/ carpeted flooring. Furnishings to be included; sofa, table and chairs and coffee table. MODERN FITTED KITCHEN AREA with fitted wall and base units, granite style worktop, sink and drainer. Neutrally decorated with vinyl flooring, Appliances to include, BOSH oven, extractor fan, integrated fridge freezer and washer dryer. SPACIOUS MASTER BEDROOM which is large double with neutral decor and carpets. Furnishings to be included; Double bed, chest of draws, wardrobe and two bedside cabinets. ENSUITE SHOWER ROOM partly tiled with fitted shower cubicle, sink and low level WC. SECOND BEDROOM is a double with neutral decor, carpets. Furnishings to be included; Double bed, chest of draws, wardrobe and two bedside cabinets. BATHROOM partly tiled with three piece suite comprising of bath, wash hand basin, low level WC. EXTERNALLY Secure gated parking with fob access, secure main door with intercom entry.